Sometimes simple says it all. 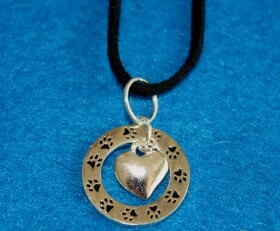 Here is a dog paw affirmation ring with a beautiful heart in the middle on an 18″ black leather necklace. Can also have on 18″ pink or red leather chord. 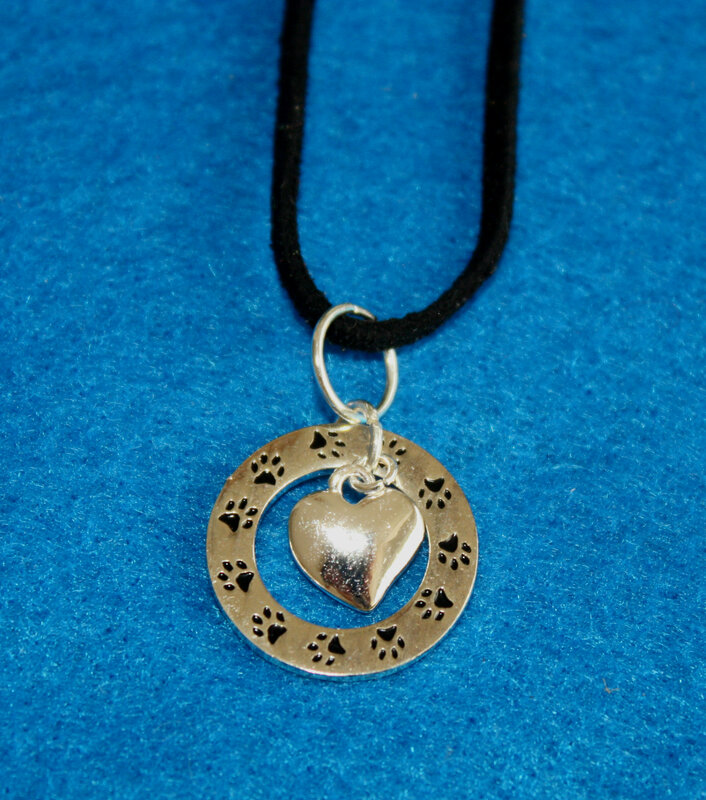 This necklace says it all about your love for dogs. Select your leather chord color before checking out. Categories: Dog Lovers Jewelry, Dog Necklaces, Shop.